On December 4, 1956, Carl Perkins, famous for the song “Blue Suede Shoes,” was recording at Sun Records in Memphis. His pianist was the then unknown but already brilliant Jerry Lee Lewis, who had just started working at Sun. Before the two artists had finished their recording, Elvis Presley dropped by to see his friend Sam Phillips, who ran Sun Records. He was accompanied by a Las Vegas dancer who was visiting him. The sound engineer working that day was so impressed by the great music of this unique quartet that he set up mics and started recording. The recordings were electrifying, but couldn’t be sold since Elvis was now under contract to RCA. When Sun Records was sold in 1969, the tapes were licensed and catalogued in Europe and in 1981, 17 of the 47 tracks were released there. A few years later, more tracks were found and released under the title, The Complete Million Dollar Quartet Session. In 1990, the recordings were released in the United States as Elvis Presley – The Million Dollar Quartet. In 2001, Floyd Mutrux and Colin Escott started working on a musical production chronicling that remarkable evening. Escott, author of Good Rockin’ Tonight: Sun Records and The Birth of Rock & Roll, had written a biography on Hank Williams and was engrossed by that musical genre. Mutrux, on the other hand, spent most of his career in Hollywood as a writer, director, producer and screenwriter. Together they created Million Dollar Quartet, which had its world premiere at Seaside Music Theatre in Daytona Beach in November 2006. It subsequently played theatres in Washington State and Chicago before opening on Broadway in April 2010 where it played for the next 14 months. A West End production in London opened in February 2011 and ran for almost a year. 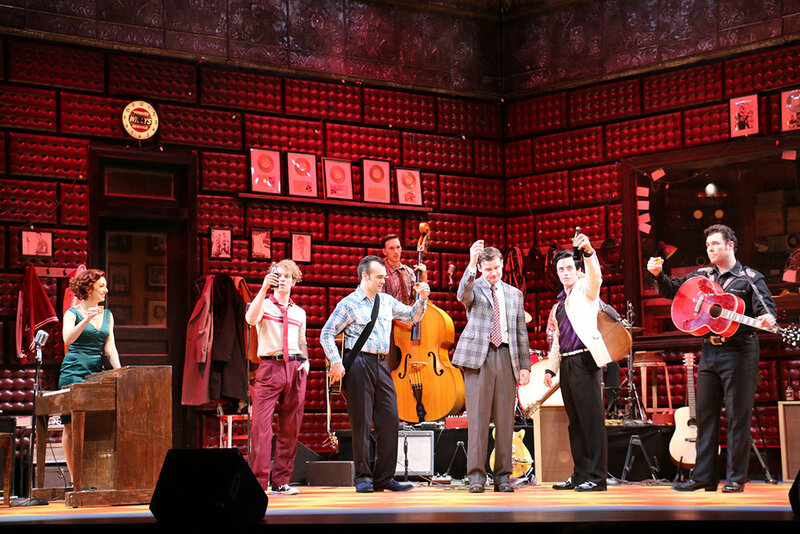 The Broadway production was nominated for three Tony Awards® including Best Musical. 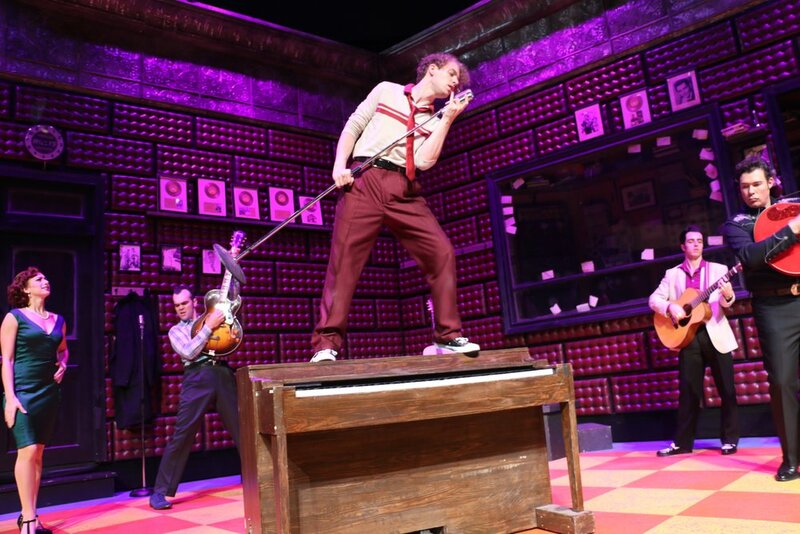 Levi Kreis won the Tony Award® for Best Featured Actor in a Musical for his portrayal of Jerry Lee Lewis. Sunday January 14, 7:30pm and Thursday January 18, 2:00pm. 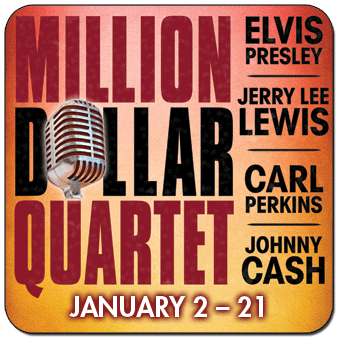 BACKSTAGE ACCESS: Million Dollar Quartet - An adult class/seminar/lecture. This lecture-type of class will examine the production of Million Dollar Quartet, studying its past production history, and learning about Riverside's interpretation. Guest artists will visit and have discussions with class members. After attending a performance, the class will analyze the production. 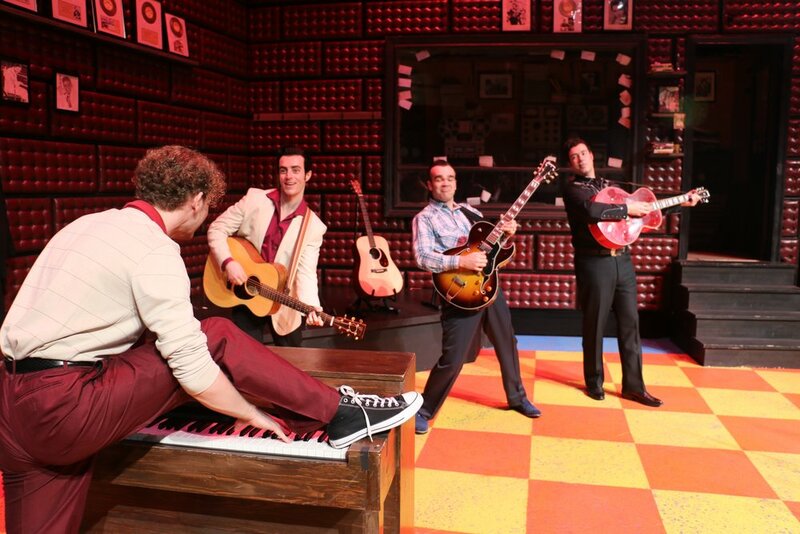 BACKSTAGE TOUR: Million Dollar Quartet - See everything behind the red curtain! James Barry* (Carl Perkins, Musical Director) is delighted to make his Riverside debut. 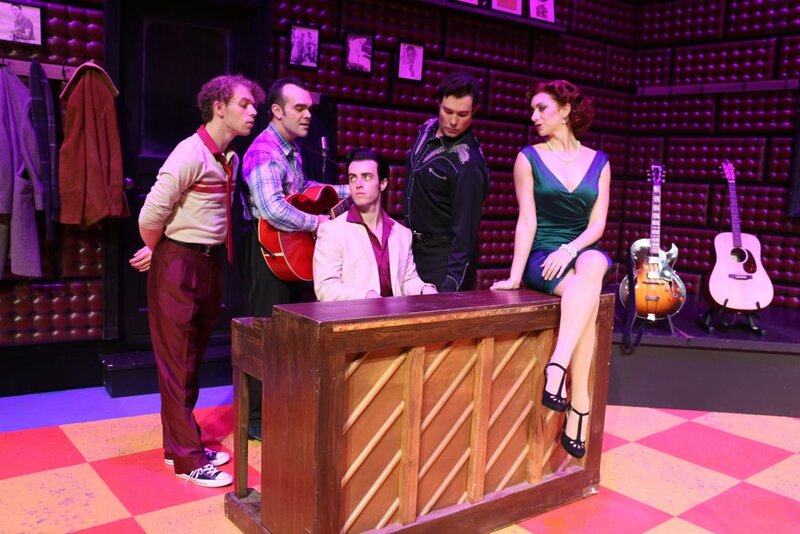 No stranger to Million Dollar Quartet, James played Carl Perkins for 2 years of the National Tour, and has performed in, directed, and music directed many regional productions of it since. Other credits include Bloody Bloody Andrew Jackson (The Public, Broadway), These Paper Bullets (Yale Rep, The Geffen, The Atlantic), and many cherished productions with The Berkshire Theatre Group, Chester Theatre Company, Paper Mill Playhouse, Ogunquit Playhouse, and Irish Rep to name a few. James is a New Neighborhood company member. TV: “Difficult People.” As a composer, James' work was recently featured in the Studio Theatre's productions of Three Sisters & No Sisters. His album of original rock songs, Embrace Yourself Tonight, is available on iTunes, Spotify, and on pink vinyl through his Etsy shop. Noel Carey* (u/s Jerry Lee Lewis) is a New York based actor/writer/composer. 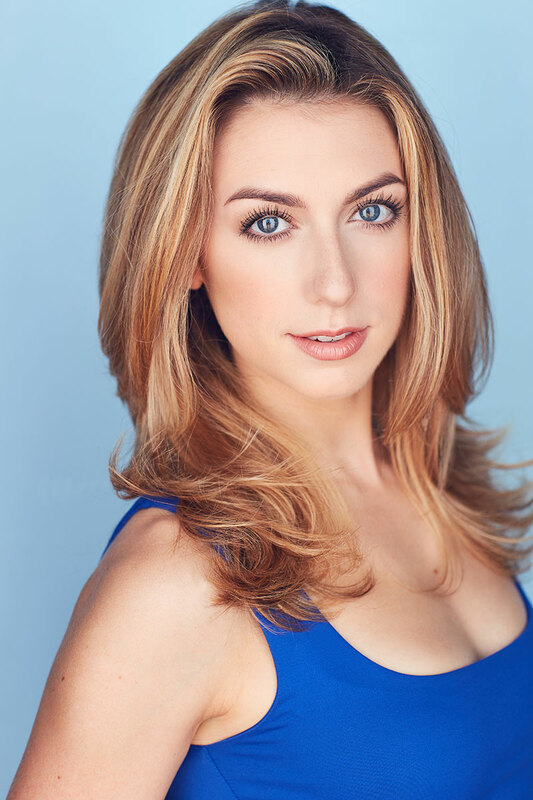 Recent performance credits include Murder for Two (National Tour) and Million Dollar Quartet (Theatre Under the Stars, FLMTF, St. Michael's Playhouse). Original musicals include: Seven Minutes in Heaven (Barrington Stage Company) and The Showmen (Finger Lakes Musical Theatre Festival). Co-creator/co-star of the award-winning web series Brooklyn Sound (NYTVF Comedy Central Development Deal, 2016 Streamy Award--Best Indie). Writer/performer with New York pop-jazz band DVA, as well as Dinner for One, which can be seen performing live sketch at The People’s Improv Theatre. Proud member of the BMI Musical Theatre Workshop (Harrington Award) and graduate of Emerson College (Howard Waldman Award). Sam Cieri* (Elvis Presley) Starting out as a songwriter spending years playing for rent in the NYC subways. Sam has gone from busker to mechanic to Vegas pianist to motorcycle salesman and everything in between. After only joining the theatre world a few short years ago, he is thrilled to be involved in this beautiful production. Previous credits include: Rock Of Ages (Drew), Once National Tour (Guy), Million Dollar Quartet (Elvis), NYMF The Demise (Harry). Jason Loughlin* (Sam Phillips) is thrilled to be back at Riverside after last season’s Private Lives. 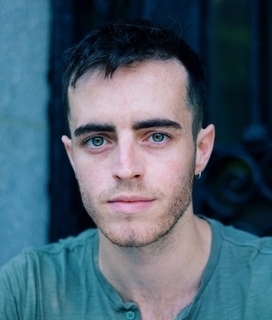 A native of North Carolina, Jason has worked regionally in Georgia, Maine, New York, California and North Carolina, as well as on Broadway in The Audience, with Helen Mirren, and Machinal, with Rebecca Hall. David Sonneborn* (Fluke) Riverside Theatre debut! He’s an original cast member of the Million Dollar Quartet National Tour performing throughout the USA, Canada and Japan. Regional productions of MDQ; Westchester Broadway Theatre (Musical Director), New Theatre Restaurant (Musical Director), Paper Mill Playhouse, Ogunquit Playhouse, Gateway Playhouse, and the Actors’ Playhouse. David has performed at the NY Musical Theatre Festival and toured nationally in Always, Patsy Cline, and Honky Tonk Angels. He studied drums/percussion at the Cincinnati College Conservatory of Music, and theater at OSU. Specializing in western swing, David is the drummer for the acclaimed New York City based “Western Caravan”. Sam Weber* (Brother Jay) is excited to be back with his MDQ family in sunny Florida. 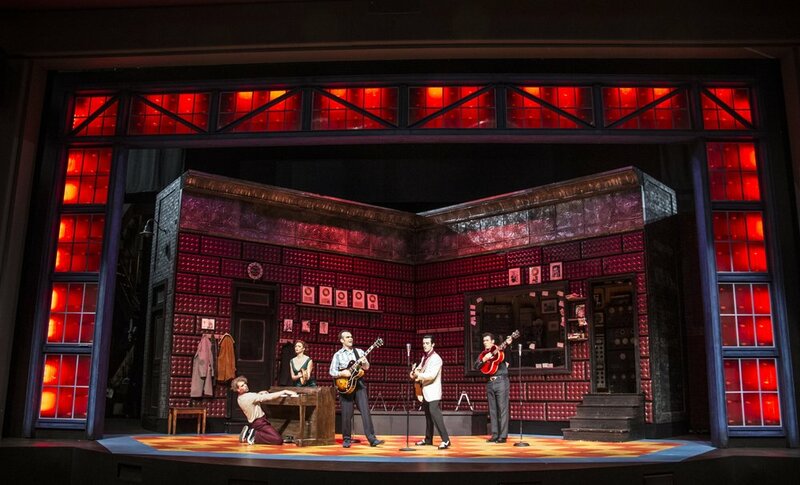 National Tours: Buddy Holly Story (Joe B. 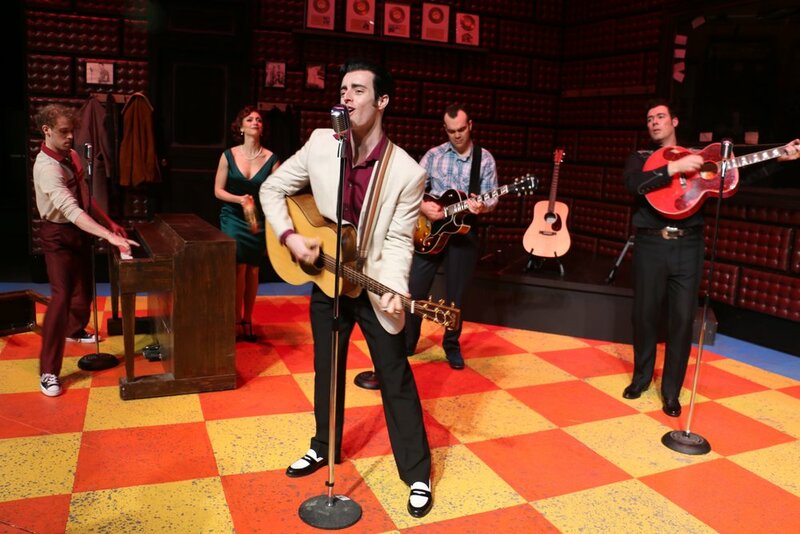 ), Regional Favorites: Once (Eamon, Weston Playhouse) Pump Boys (Eddie, Paper Mill), The Buddy Holly Story (Joe B., MUNY, Fulton Opera House, Gateway Playhouse, MSMT, Casa Manana, Ogunquit Playhouse), Million Dollar Quartet (Brother Jay, Paper Mill, Ogunquit Playhouse, Gateway Playhouse). Nat Zegree* (Jerry Lee Lewis) has been playing piano since he was 3 and has been trained classically since 7. Also a successful composer, he has workshopped two of his original musicals written with Eric Holmes, The King’s Critique and Fly More Than You Fall in the past year. He music directs and leads shows at such New York City venues as 54 Below, Birdland, Laurie Beechman and Joes Pub as well as performing one man shows across the nation. His Christmas Single “Imagine This Season” is on iTunes, as well as his recent debut album of his own original music, Fly More Than You Fall! Other credits: Dear Evan Hansen (Arena Stage, Secondstage), Million Dollar Quartet- Jerry Lee Lewis (Regional Premiere Ogunquit 2015/2016, Paper Mill Playhouse, Flat Rock Playhouse, Farmers Alley Theatre). He most recently performed as Mozart in Amadeus (Flat Rock Playhouse). Follow Nat on Instagram at @natzegree!